It’s time for when things get a little weird up in here. And by weird, I mean great. Why so great? Because this is a tribute post to one of my have playas in the game. Oh yes, ladies and…..well, fangirls. I’m talking about the man, the myth, the beauty. KRIS. 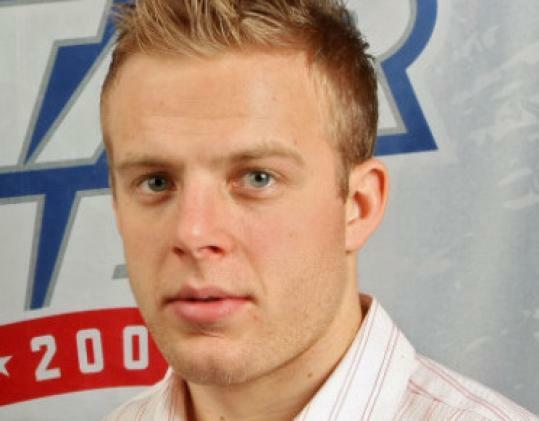 VERSTEEG. He’s my favorite man-boy. And I mean that in the greatest possible way. Currently a top-line forward for the surprising Florida Panthers, he’s previously played for the Blackhawks, Flyers, and Maple Leafs. He’s a stud muffin. Frat star. White rapper that rivals that Matty B kid. Yes, he’s 7, but give Steeger credit, he has a different day job. Plus, for some reason, he makes me fangirl like hhnnnnggggghhhhhhh :) And, for one thing, everyone fangirls over Captain Sexpanther and Lil’ Peekaboo, so it’s only right for me to pick a backup to my backup. 1) His favorite word is beauty. 2) He’s in love with Fergie. 3) He raps like a white boy and I love it. 4) This video just warms my heart. 5) Old School. Sick. Mitts. 6) New School. Sick. Mitts. Tell us your favorite unconventional hotties in the NHL, and maybe we’ll feature them in a post on Hockey’s Finest! Has anyone else noticed a strange pattern in the NHL lately? And by pattern, I mean freak occurrences that no one could have predicted (unless of course your name is Miss Cleo). CALL ME NOW FOR YER FREE TAROT READIN! By now you should have deduced that I’m talking about the success of teams in strange hockey markets like Miami and Phoenix. I know San Jose is playing well too, but I’m leaving them out of this because they’ve been a contender for the last few years. Anyone who has read a post of mine on Hockey’s Finest knows I’m only slightly obsessed with any member of the 2010 Chicago Blackhawks. So, as you can imagine, I’ve been following the Florida Panthers closely this season, considering about half of that championship team took their talents to South Beach. At any rate, the Florida Panthers are on tope of the Southeast division, have 65 points on the year, and should be on pace for a franchise-high point and win record. But, for some reason, they’re consistently flying under the radar. You never hear anyone talking about this team because, let’s be honest, southern Floridians know next to nothing about hockey. And I say that with the utmost respect because, again, Florida is simply not a hockey market. It’s a basketball town and always will be. Thanks a lot, Lebron. Long story short, it’ll be interesting to see the reaction to the Panthers next season, especially depending on their playoff run (provided there is one; I know it’s still early). Now, onto Phoenix. This is truly the island of misfit toys. When you used to think of the Phoenix Coyotes, there wasn’t any one particular person you thought of. Then came Shane Doan. Mike Smith. And, thanks to Twitter, Paul Bissonette. They’re beginning to form a true identity, beginning with their solid play up to this point. Other teams in weird hockey markets that started quickly (I’m looking at you Dallas), have fallen off the map, making room for Phoenix to take their place. I mean heck, just last night they took Vancouver to a shootout. A shootout! If a team like Vancouver can’t put away the Coyotes in regulation, you gotta hand it to them in that they’re playing with purpose. Kudos to them and the fans; they’re fighting to keep the franchise where it is. Now, the only question is: will they keep it up? A hockey season is a long 82 games, and we’re at about #55. It’s always interesting to see the playoff race shape up the closer we get to springtime, so make your predictions now, ladies and gents! You never know what might happen. I don’t know about you all, but whenever a player I love gets traded away, I tend to keep tabs on them and just see how they’re doing. Well, long story short, I have quite a few tabs lately, because a lot of players I love are from the 2010 Championship Chicago Blackhawks’ team. There was just something magical about that group. 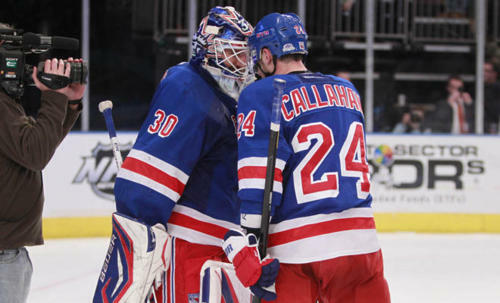 They all got along, from Captain Sexpanter to a fourth-line guy like Colin Fraser, they enjoyed playing the game together and it showed on the ice with their success. So, last night, one of my favorites, Troy Brouwer, got his first career hat trick! It's time for the happy dance! He’s one of those players who never got the accolades he deserved in Chicago. But, not a lot of players did, especially when your roster is so stacked with the top guys. Personally I don’t think he’s underrated anymore, and he’s having a great time in Washington. So, in celebration of his hattie, ladies and gentlemen, I present to you: M’s Top 3 Underrated NHL Players! To be honest, Eriksson isn’t exactly in the greatest market for hockey. Maybe if they put grass on the rink and gave them a football to slap around instead of a puck, then people would show up to the games. But he’s a great player. He’s had consistent 70-point seasons and is on pace for the same, if not more, this season. He was an All-Star selection last year and played for Sweden in the 2010 Olympics. Heck, even in a player’s poll of the most underrated NHL players, he was voted #1. How can you argue with that? Well hellooooooo Mr. Beautiful! Ahem, sorry, got a little carried away there. People forget sometimes how Sharp got his start in Chicago. He was received in a trade from Philadelphia in 2005 for Matt Ellison and a 3rd round pick in the 2006 draft. I know what you’re thinking: Who is Matt Ellison? EXACTLY. This was an absolute, home-run of a trade for the Blackhawks. I mean, we might as well just say we stole him from Philly because that’s what it looks like. He’s not only a great player, but he’s an alternate captain and a true leader in that dressing room. Plus, as of right now, the Blackhawks has a situation of “you don’t know what you’ve got ’til it’s gone”, since our beloved Sharpie is out for 3-4 weeks with a wrist injury. But don’t worry, he’ll be back and sexier than ever. BETTER! I meant BETTER! Damn you and your mesmerizing good looks…. C’mon guys, gingers need love too! Here’s yet another great case of an underrated player in a bad hockey market. I mean, let’s be honest here, most people in Miami don’t even know what ice is unless it comes in a drink with a little paper umbrella. 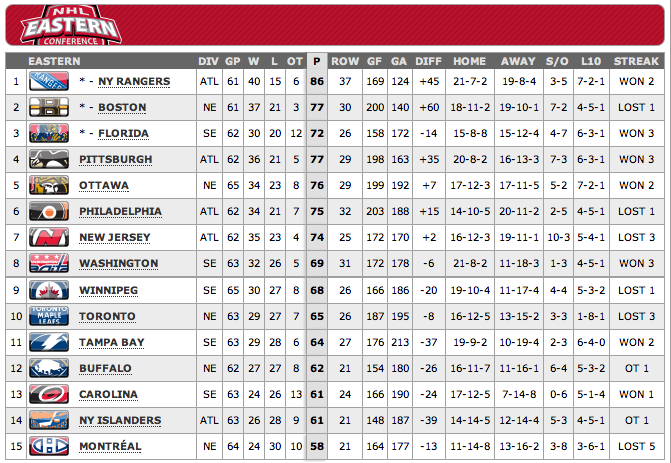 But, to everyone’s surprise, the Panthers are in first place in the Southwest Division. I’ll give you all a moment for that to sink in. Yes, the Panthers are winning. And not Charlie Sheen “winning”, but actually playing solid hockey with a great coach and front office. Fleischmann is having a breakout season right now, and is only behind Kris Versteeg in points on the team. 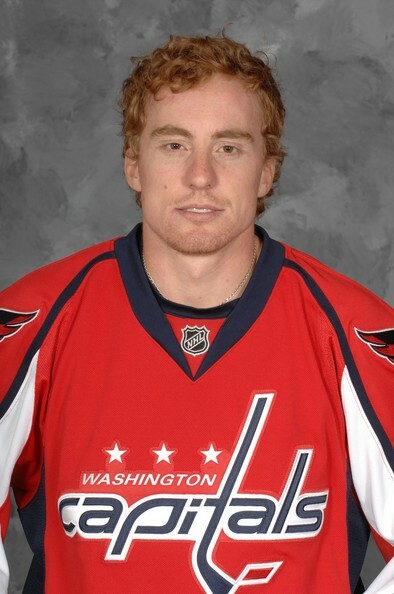 He was mentioned by All-Star defenseman Brian Campbell as being overlooked for the All-Star Game. So yeah, you could say he’s underrated. I’d keep this long-lost Weasley in mind to be a critical member of their squad in the coming years. As a quick side-note, I want to point out why Florida is playing so well. Obviously the players are a huge part of it, but the front office is where it started. Why do I bring up the front office, you might ask? Let’s just say history tends to repeat itself, and this is a bit too close to home for me. Their current GM is Dale Tallon. Who was the GM when the Blackhawks were a dead franchise? Dale Tallon. Who selected Jonathan Toews and Patrick Kane in their respective NHL draft years? Dale Tallon. I think we’re sensing a pattern, here. Don’t be too shocked if Florida wins a Stanley Cup in a few years. Just a little food for thought. Who are your underrated players? Let me know! Anyway, at first S & I were more than excited for J to move to Atlanta. I mean, she was going to a great school and plus if she couldn’t catch a Pens game on TV — at least she’d have the Thrashers, right!? WRONG. 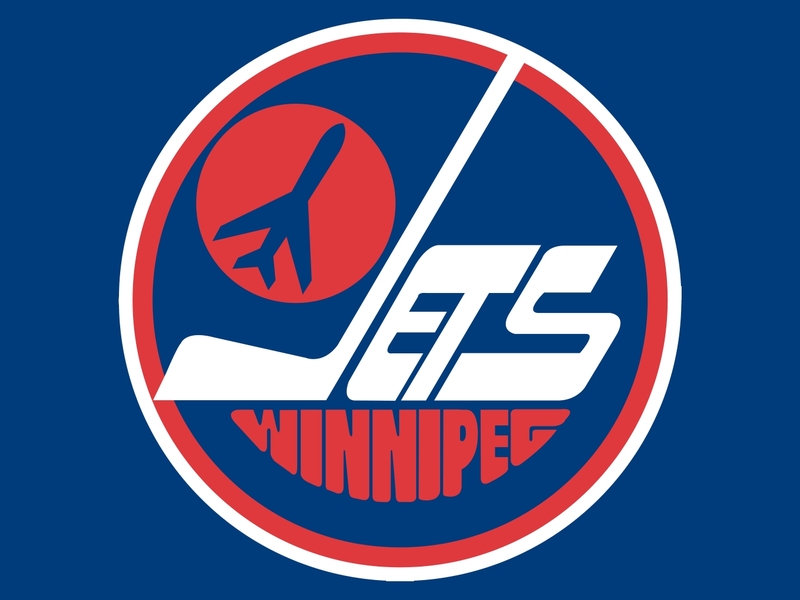 Sorry J, the Atlanta Thrashers look like they may become the Winnipeg Jets in the near future. Poor girl. She didn’t even get to ONE game! S & I are legitimately worried about her. So if anyone is ever in the Atlanta area and you see a pretty girl smashing her head against a wall…that’s J. Tell her to please stop and keep her chin up because S & L love her too much for her to hurt herself. Plus…that just gives us more of an excuse to talk her into coming back to Florida (or even a trip to Boston). We love you, J. Stay strong babe. Who knows J, maybe you’ll become a Hawks fan! ….no? Ok…well– we tried. 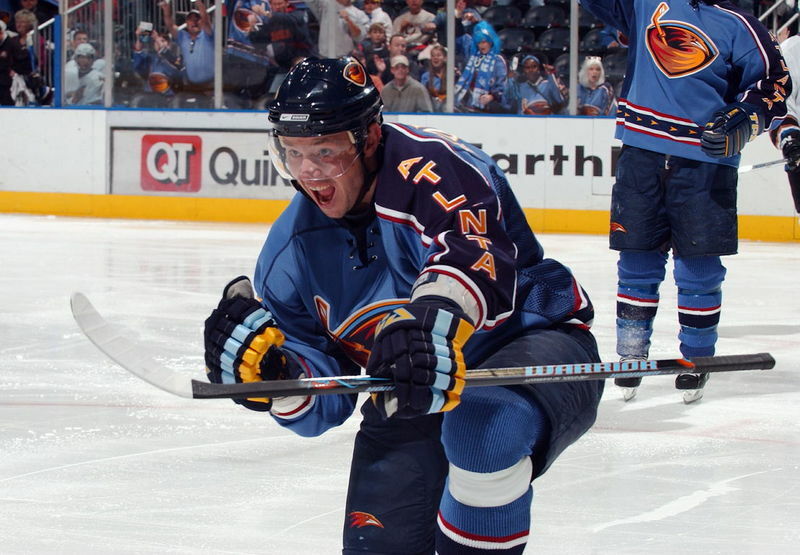 I’d like to think the Thrashers are excited about a possible move. Maybe they’ll actually sell out some games up in the cold North! Sorry Atlanta hockey fans…looks like you’ll have to travel to get your fix. How ’bout them Preds? !